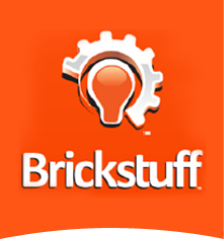 Shipping Policies - Brickstuff-- Small Lights for Big Ideas! Your satisfaction is our top priority. Once your order is received, we aim to ship it out within two business days of receipt. You will receive a confirmation e-mail from us when your order has been placed, and you will receive a second e-mail once your order has shipped. The shipping e-mail you receive will contain a tracking number for your package. Within 48 hours of shipment, you can go to the U.S. Postal Service's website to track your package (click this link) if your package was sent via the USPS. If your package was sent using DHL, you can track your package here. ​Starting January 2, 2019, we have updated our shipping rates to add DHL as the preferred shipping option for customers outside the USA. We also offer free shipping to all areas of the world for qualified orders! Check out our Shipping Rates page for full details. Our domestic (U.S.) orders are shipped via either US Postal Service First-Class Mail or US Postal Service Priority Mail. Orders ship out from Minnesota, so depending on where you live in the U.S., you will receive your package within 1-5 days of mailing. Shipping to APO/FPO Addresses: At this time, our commerce software does not support shipping to APO/FPO addresses. If you have an APO/FPO address, please send us a list of the items and quantities you'd like to purchase via the contact form on the homepage of our website. We will be in touch directly, and will prepare a PayPal invoice that you can pay online. We apologize for any inconvenience this may cause. All of our shipments originate from the United States. In most cases, International buyers must pay duty and import tax on their package to their local authority before the parcel can be delivered. Because customs policy varies by country, it is not possible for us to collect these monies at the time of purchase—we have no way of paying your government. Customs duties are not a “hidden” shipping charge, and none of the duty and import taxes you may be charged are paid back to Brickstuff—they are paid to your local government. These duties and import taxes may be expensive, and may add up to more than half the cost of your entire purchase. You may also be required to pay these duties and import taxes in cash, or to pay in person at your local postal office. Please take time to research and understand the duty and import taxes your country imposes on shipments from the United States before placing your order. All duties and import taxes are the responsibility of the buyer. We will not undervalue shipments or list them in a category other than "Merchandise" when shipping. Please do not ask us to do this-- it is illegal. Mandatory DHL International Shipping: For some countries and regions, we require that all packages be shipped using DHL. Due to packages being lost in the past when sent to these countries/regions, we have had to take this step as DHL provides enhanced tracking and is less likely to be tampered with by foreign postal systems. Special Note on International Tracking: All international countries/regions have the option of selecting DHL for shipping. While this is a more costly shipping option, it does provide enhanced tracking details and better traceability-- plus the packages can arrive much more quickly depending on where you live. If you do not select DHL for your shipping option, your ability to track your package will be limited once the package leaves the United States. Delivery confirmation is only provided for certain countries (see the list at the bottom of this page). If you have concerns about monitoring the status of your package, we recommend that you select DHL as your shipping method. These are the only countries for which International Delivery Confirmation is provided: Australia, Belgium, Canada, Croatia, Estonia, Finland, France, Germany, Great Britain and Northern Ireland, Hungary, Israel, Latvia, Lithuania, Malta, Netherlands, New Zealand, Singapore, Spain, and Switzerland. If you live in a country not listed here and want to be able to track your package after it leaves the U.S., select DHL as your shipping method.